Sucuri repair and monitoring services, along with GlowHost technical support and backup services, can help you get your site back up and running in as little time as possible, and then we’ll continually monitor and prevent further incidents. Think of it as insurance for your web site. Once you pay for the service, Sucuri security professionals will immediately begin to examine your site and make the appropriate modifications to repair your site to it’s former glory. Once your web site has been certified fixed, the expert team at Sucuri will make sure your web site is not listed in any search engine blacklists, and if found, will report your site as “clean” to those blacklists which may have you listed. From that point on, you will have on-going security services built into your web hosting package, so long as you maintain your monthly Web Site Assurance service with GlowHost. Sucuri has been protecting web hosting customers against malware and malicious attacks since 2009. The company’s goal is remarkably simple – keep web sites defended, without any complex configurations or difficult setup procedure. You must be a current GlowHost customer to take part in this offer. Order Web Site Hack Repair and Assurance Now. How does ongoing Web Site Assurance from GlowHost work? Once activated, Sucuri performs an overall scan of your web presence, building up an image of normal activity and usage. Then, at regular intervals, the Sucuri server crawls your web site again, checking for abnormalities. If problems are detected – for example, if multiple pages suddenly become empty, or masses of data begin to disappear – Sucuri alerts GlowHost before working to restore your site. If the damage to your site is extensive, GlowHost can also provide free backups as a faster way to get your web presence back on track as in some cases backups may be easier to restore than reverse engineering complex or well hidden hacks. When you have this service enabled, all known hacks are blocked before they ever get to your site when you have Web Site Assurance enabled. 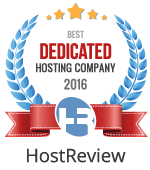 As an experienced web hosting provider, we have seen the impact that hackers and malware can have on a web site. A single instance of web site defacement or data theft can be expensive to repair and – worse – can cause one-way damage to a business’ reputation. We have selected Sucuri as a preferred monitoring and alerting tool because of the extensive features that it offers. These blacklists monitor the Internet for malware and phishing attempts. If your site becomes compromised, your domain can be added to this blacklist, alerting visitors that your site may present a security risk. Obviously, this is not a great way to attract customers to your web site! Sucuri monitors these lists and, after repairing your site, automatically submits a removal request. As a result, customer confidence is restored as quickly as possible, all without the need for you to research how to have your site removed. Sucuri and GlowHost eliminate the time you would normally spend dealing with a removal request on your own. Time is money, and in the event of a compromise, you need to have your site back as quickly as possible. Our Assurance and repair solution is a bargain for the service and piece of mind it can provide you with. With such a comprehensive approach to web site security, Sucuri does not wait until your web hosting is hit with an attack – you are defended from the first time a new attack is spotted online. The best part is, when you order through GlowHost, you only pay a fraction of the regular retail price, plus, we offer monthly packages which are not available when buying direct from Sucuri.